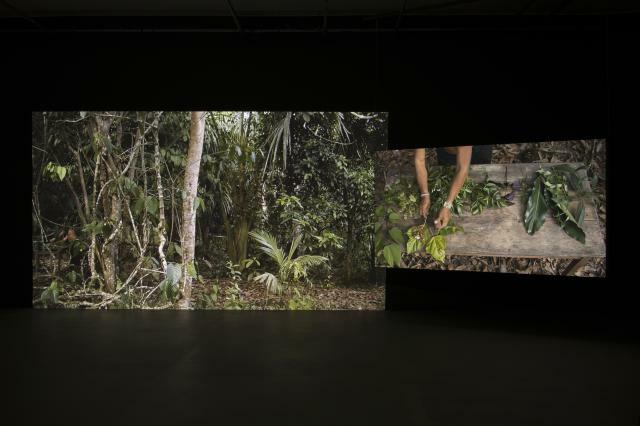 The Institute of the Arts and Sciences, in collaboration with the Mary Porter Sesnon Art Gallery and the Center for Creative Ecologies, is proud to announce the opening reception for Forest Law, an exhibition by artist-researcher Ursula Biemann and architect Paulo Tavares. Situated at the transition between the Amazon floodplains and the Andean mountains, the Ecuadorian Amazon is one of the most biodiverse regions on Earth and fulfills vital functions in global climate regulation. It is also the home of indigenous nations and a land of great ethno-cultural diversity. Underlying this vast territory are immense deposits of oil, gas, and minerals. This makes it the target of many corporate extractive industries, intent on unearthing the mineral wealth despite the diasterous effects these industries have on the area and its inhabitants.